The market is infused with a diverse range of sunglasses in various shapes, hues and shades. Whether there is any event or occasion, today’s youth love to wear sunglasses to flaunt their style and persona. Either, hanging out with the friends or on date or go for the picnic or party hard, the sunglasses have become the bizarre. So, girls! If you don’t put your make up, don’t bother about it. Include the sunglasses in your attire’s accessories and you will shine. Explore the online market comprehensively, select and buy the trendy sunglasses and complete your outfit stylishly. The sunglasses not only impart you a new look, but also work as the eye-shield to protect your eyes from the harmful UV rays. Moreover, if you have any other sort of eye-problem, consulting your eye specialist before purchasing the sunglasses is the right step. Wearing the sunglasses reduces the chances of having the eyelid cancer and skin cancer around the eyes. Plus, if you are able to afford, always prefer the branded sunglasses. They are much preserved and sterile. Our eye works like the camera internally. Actually, their functions are almost identical. 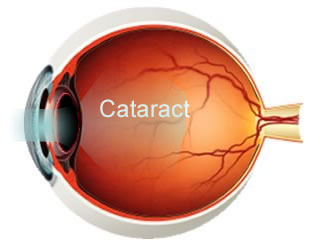 And, the Cataract occurs when there is a buildup of protein in the lens that makes it cloudy. This will obstruct the light from passing clearly through the lens, causing some loss of vision. And, by adopting the Cataract surgery, it removes the cloudy lens and replaces with the artificial lens, called as an Intraocular Lens (IOL). After the surgery, often, your eye consultants prescribe you to wear sunglasses so that your eyes remain protected from the surrounding impurities and injurious UV rays. Go with them and buy the right prescription sunglasses, as per their suggestions. Wearing the sunglasses make you distant from many probable eye diseases or major problems. The quality sunglasses help your eye heal and safeguard your macula from any further sun damage. You can choose the polarized sunglasses with 100% UVA/UVB protection and preferably with a wraparound design. Wearing the right sunglasses after the Cataract surgery protects your eyes from the infection and also reduces the inflammation. Follow your doctor’s instructions cautiously. When you are outdoors, they may help to keep your eyes comfortable and less sensitive to light. It is common to experience some sort of eye irritation after the eye surgery. For the very first month, refrain from rubbing or touching your eye. You have to keep your eye contamination-free due to the wound in your eye. The eye-cap is preferred by the doctor, but if you want, you can also wear the sunglasses to protect your eyes from germs and dust. Wear the prescribed sunglasses, it’s best for you! If you are a swimmer or the sports person, avoid these physical activities for 2-3 weeks. However, if it is mandatory and you have left with no any other option, then sunglasses prove lucrative at such times. First, consult with your eye specialist and then purchase the prescribed sunglasses. Then, it will be no hindrance in your activity. The person gets weaker with the age. If your grandparents suffer from the cataract diseases, get them operated ASAP. After the surgery, you have to keep very careful. It’s not possible to sit beside them 24*7. The eye-cap is good and safe of course, and prescribed by the Doctor. But, the skin near the eyes should also be protected. Sunglasses prove beneficial at that current situation. Suggest them to wear sunglasses, but before this, ask their eye specialist and then after, buy the prescription sunglasses, as they have told. Your eyes are the most beautiful organ of your body. It’s your duty to keep it safe and hygienic. Cataract surgery makes your vision clearer. So, after this, you have to keep and maintain your eyes clean and protected from the outside environment. However, don’t forget to consult your eye specialist. Whatever sunglasses you want, always take suggestion from your consultant, he will give you the accurate instructions how to keep your eye clean and the prescription sunglasses. Karnika Bhati is associated with the two eminent fashion vistas- “Spectoworld and Kaashvi Creations”. Her effort for these brands is with a motive to change the vision of the world along with the style to dress one. Her objective is to give you a unique and perfect experience when you read each of her writings. Explore her short and sweet world and can buy sunglasses and vivid attires.